Hotel Princess is a budget hotel located on Gandhi Road and at about 10 minutes walking distance from the Chowrasta Mall. The road is narrow here and there are buildings on the opposite side of the road as well. 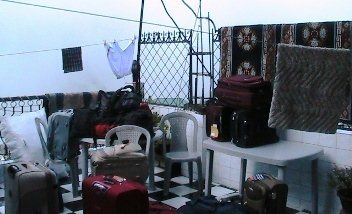 The hotel is over 11 years old and owned by Mr. Ranjan Batt who lives with his family in the same building at the top floor. 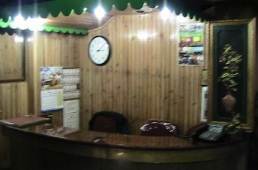 As you enter the hotel, the reception counter is right in front. Bapi Pandey, a tall and dark man from Orissa manages the front desk. Although looks overpowering, he is actually a nice and helpful person. 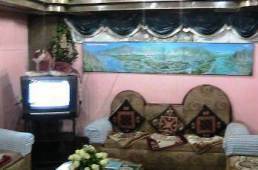 On one side of the reception there is a small seating area or the lobby that has comfortable sofas, center table, a TV and walls with framed paintings. The hotel has five floors and there are 20 rooms laid out in different floors. 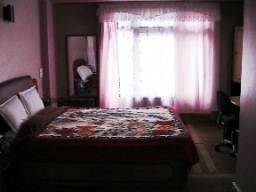 There are different types of rooms including Standard, Deluxe, Super Deluxe, 4 Bedded and Suit Rooms. Since there are buildings right in front of the hotel and on opposite side of the road, you can't expect views from the rooms in the lower floors. 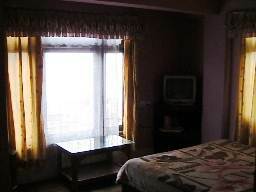 For views of the mountain range and that of Darjeeling town you will need to take a room in the 4th or 5th floor. There is a marbled stairway that leads to the rooms in the upper floors. 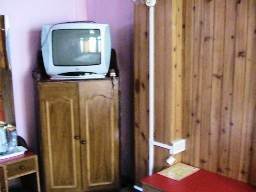 All rooms have standard amenities like color TV with cable channels, phone, a tall cupboard, floor carpet etc. They also provide room heaters (blowers) during the winter at an extra charge. Some of the large rooms like the suit rooms have separate seating area at one corner with sofas and glass top center tables. They also have a separate table (like a work desk) and a chair. Rooms in the 4th and 5th floors like rooms no. 116 and 118 have great views of Darjeeling landscape. 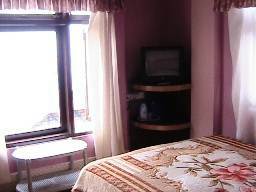 From these rooms you can see the snow clad mountains of the Eastern Himalayas on a clear day. You can also see the bazaar area below. All rooms have attached bathrooms that have geysers to supply hot water (during fixed hours in the morning and if main power is available). There is a small terrace in the top floor. This place is ideal to have a cup of tea while viewing the entire panoramic range of the mountains and Darjeeling town. However during the low season, this terrace is often used for drying clothes and other purpose and may not be therefore suitable for lounging. Another issue with the terrace is that the owners stay right above the terrace and may be looking over you silently as you lounge in the sun. Next to the terrace is room no. 118, a large room which is wood paneled and have lovely view through the windows. While coming down from the fifth to the fourth floor, the ceiling at one point of the staircase is so low that you can easily bang your head there unless you are extremely careful. They should be using a rubber padding over there at the least. 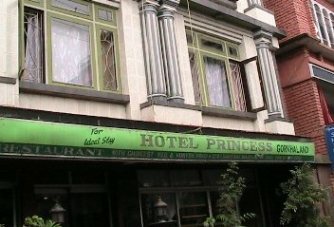 Hotel Princess has its own restaurant which is visible from outside. The restaurant serves breakfast, lunch and dinner. They prepare mainly Indian and Chinese dishes although they also mention that they prepare Bengali food as well. In-house generator which supports essential lights in the rooms and elsewhere when there is a power cut in the evening. It won't support geysers and room heaters. The hotel is conveniently located. The Nehru road where all the best shops and restaurants are located would be some 5-6 minutes walk from the hotel. The Mall is about 10 minutes walk. The rooms are standard and in line with other regular budget hotels of its category. There are only few rooms with good views. Most of the rooms do not have views, while some face the road below. The service is average. The restaurant although open to the general public, is not one which is well known in the town. So don't expect great quality food. Like most other budget hotels, they won't clean your room or the bathroom during your stay unless you specifically tell them to do so. One plus point is, this is a family owned property and not a hotel on lease. Therefore you can expect better attention here compared to the leased hotels. Since the owner lives in the same building, you can always talk to him if you have any problems. Hotel Princess is located on Gandhi Road next to Snow Lion Homestay and at a 10-minute walking distance from the Chowrasta Mall. There are many shops and restaurants within easy walking distance. 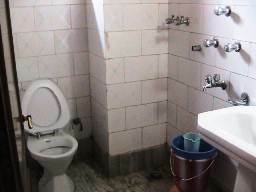 27/B/1 Gandhi Road, Darjeeling 734101, West Bengal, India.